Miss Meadows' Pearls - Fashion, Photography, Alternative Model, Burlesque, Vintage Miss Meadows' Pearls: Mrs Murphy's Woman Power Bootcamp! As you all know, I've been working for Mrs Murphy for some time now, as her pr-assistant/event coordinator. 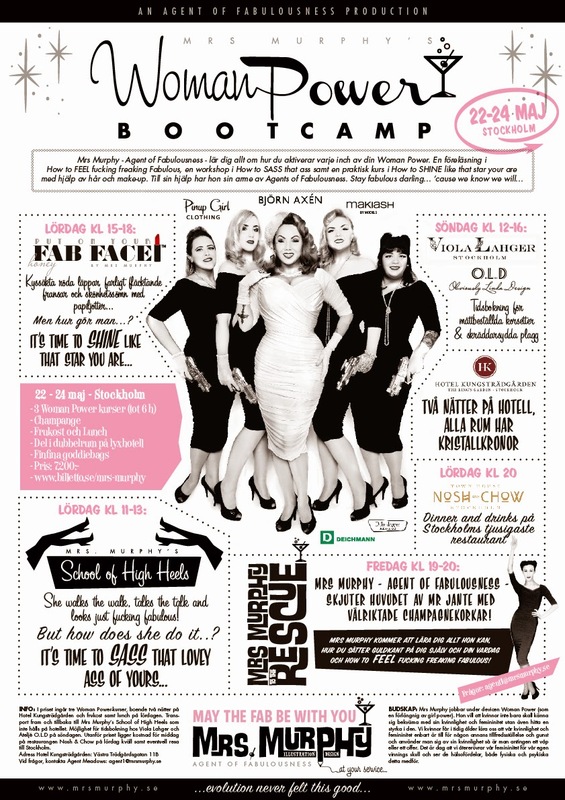 And THIS is what we've been working on - Mrs Murphy's Woman Power Bootcamp! Mrs Murphy has three different workshops: Mrs Murphy to the Rescue...!, Mrs Murphy's Shool of High Heels, and Put on you FAB FACE honey - time to SHINE like that star you are, all with the goal of making women feel good about being women! There is so much talk about feminism these days, so now we want to focus on the feminine in feminism - something people don't talk about that much. Putting on red lipstick and a pair of high heels doesn't make you inferior to men - as long as you do it for yourself, and find your own inner woman power! So what we have done now is we have created a weekend where you can come to Stockholm and experience all three of Mrs M's workshops! 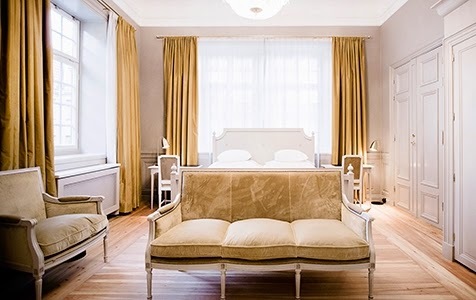 The weekend takes place 22 - 24 May, and the participants will sleep at the beautiful Hotel Kungsträdgården that just opened in the center of Stockholm. When visiting the hotel both me and Mrs M wanted to move in. It's very elegant - with a crystal chandelier in each room! Here we will drink champagne, eat breakfast and lunch, and listen to Mrs M's wise words. Mrs Murphy's School of High Heels will take place at another location than the hotel, but under the care of me and two other of Mrs M's Special Agents of Fabulousness we will take care that you get there and back comfortably. For more info (in Swedish) go here! This is also where you can buy your tickets to this luxurious event! Looking forward to meeting some lovely ladies there! Sponsors of the event are: Björn Axén, Deichmann, Makiash, Pinup Girl Clothing, Daisy Dapper, Viola Lahger, O.L.D, Nosh and Chow, and Hotel Kungsträdgården. So you don't want to miss that goodiebag! Haha!